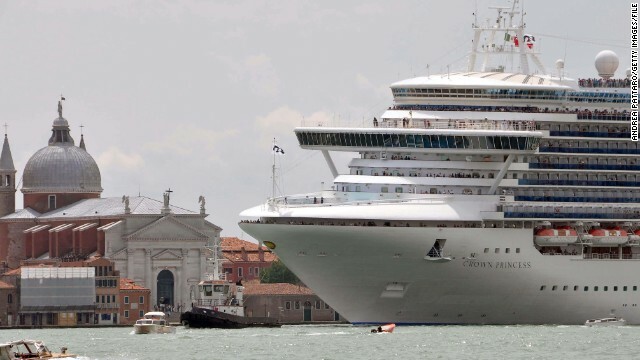 The Crown Princess, which had toilet trouble while on a Caribbean cruise, is shown here in Venice in 2009. (CNN) – The "Dream," the "Legend," the "Triumph," the "Freedom..." All cruise ships with whimsical names turned distressingly ironic after the ships caught fire, clogged up, broke down or even sunk this past year. I can be the crew is of poorer quality than before.